Oh, the weather outside is getting frightful! The winter is the only time this is acceptable. 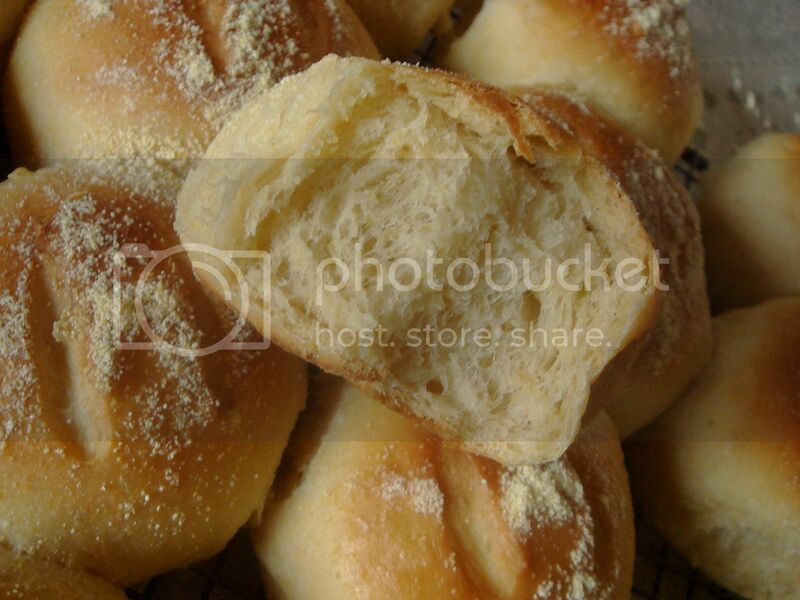 I'll stay inside and make rolls. Yes, that pretty much sums up the cold streak here. And it's legitimately cold, not just be saying that sixty degrees is chilly. Kenny's coat sounds like a good idea right now, and if my down coat wasn't white I'd probably be wearing it around the house, even. I had originally planned for these rolls to be for dinner two nights ago to go alongside a bean soup, but I started late. When it became obvious that these would not be finished in time, I stuck the bowl in the fridge to be shaped the next night. What intrigued me about this recipe, found after a Google search, was the method of incorporating the cornmeal into the rest of the ingredients. 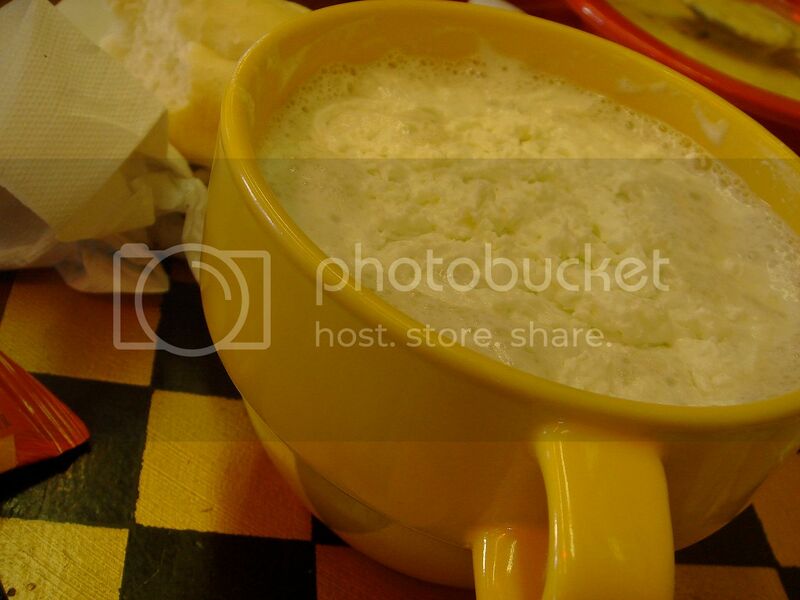 Typically, you might find the cornmeal soaked in some of the water that has been heated to hydrate the cornmeal, though instead you make a cornmeal mush with milk. And do resist the urge to taste it; with four teaspoons of salt in the mix, even a salt addict like myself will gag. 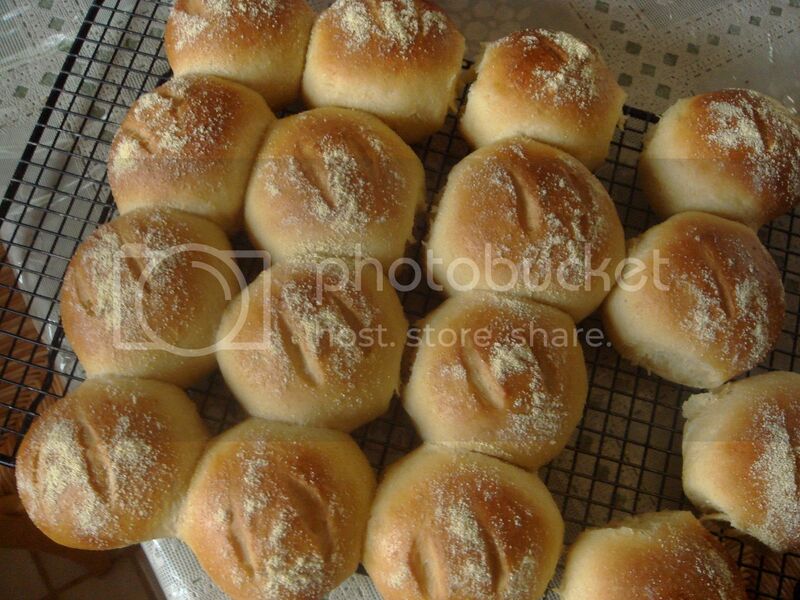 Don't be alarmed, however, since the finished rolls won't taste salty. 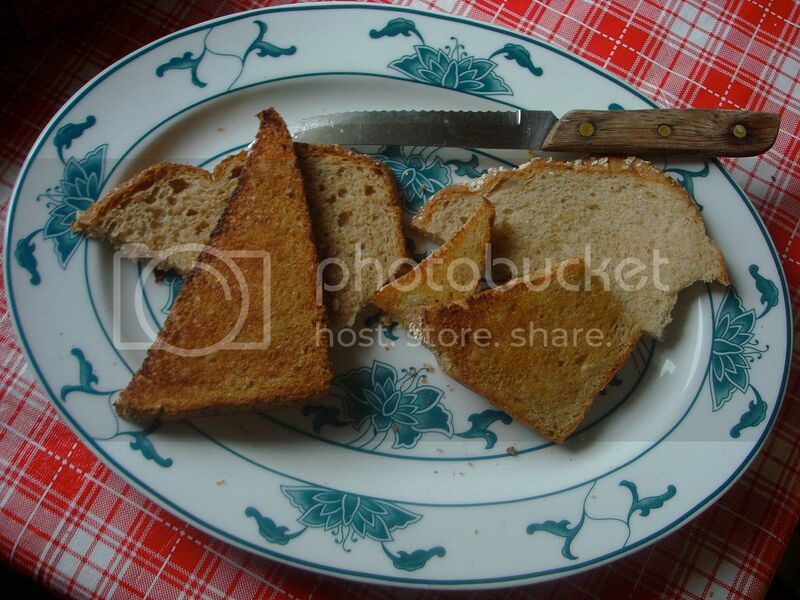 The taste was moist and slightly crunchy, and probably would make excellent toasting bread. 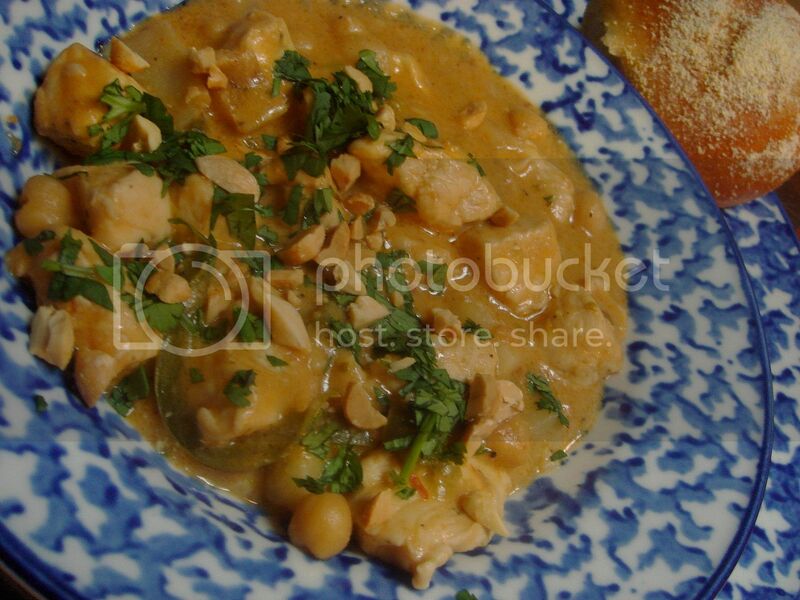 Having little to no desire to think of anything creative for dinner, I once again Googled "chicken stew" and happened upon a link for African Chicken Stew, containing peanut butter. I've seen it before and made a mental note to try it, but if you know me you know what that means. Finally, though, I can say I've made it. It was pretty good, though sometimes my mind can't get over the "peanut butter should be sweet" concept. The flavorings were good, and though I didn't have ground coriander, a little cilantro on top helped perk up an otherwise boring colored dish and added more flavor. I also sprinkled the top with chopped peanuts. If I made any variations in the future, it'd be to the chicken so it won't dry. That was my fault because the skillet wasn't at the correct heat, and perhaps I'd have bigger chunks of chicken next time. Overall, I liked it, and the cornmeal rolls made out to be a good pairing. 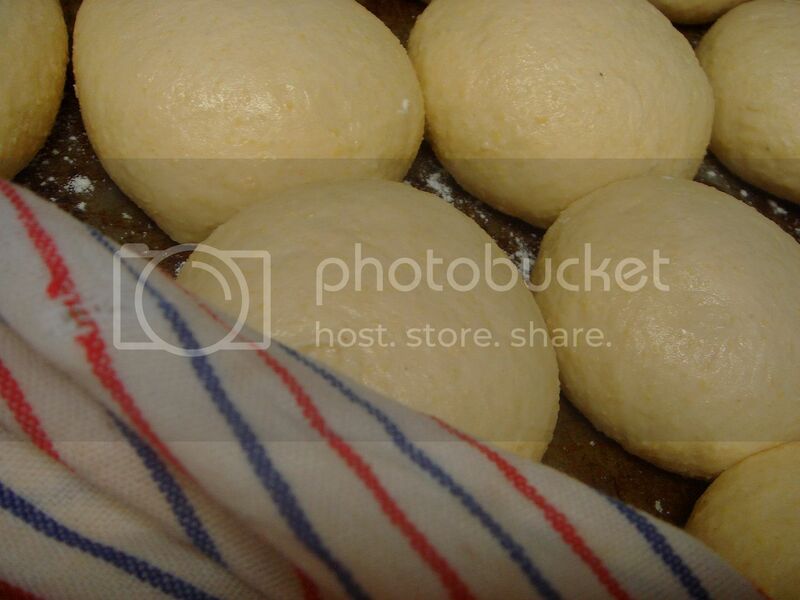 I will be submitting the cornmeal rolls to YeastSpotting and One Good Loaf, a pretty neat group on Flikr that's based on the premise of sharing what you've baked with each other. Visit Molly's blog, One Good Loaf, for more info. Part of being a member of Foodbuzz means having the opportunity to participate in different programs. 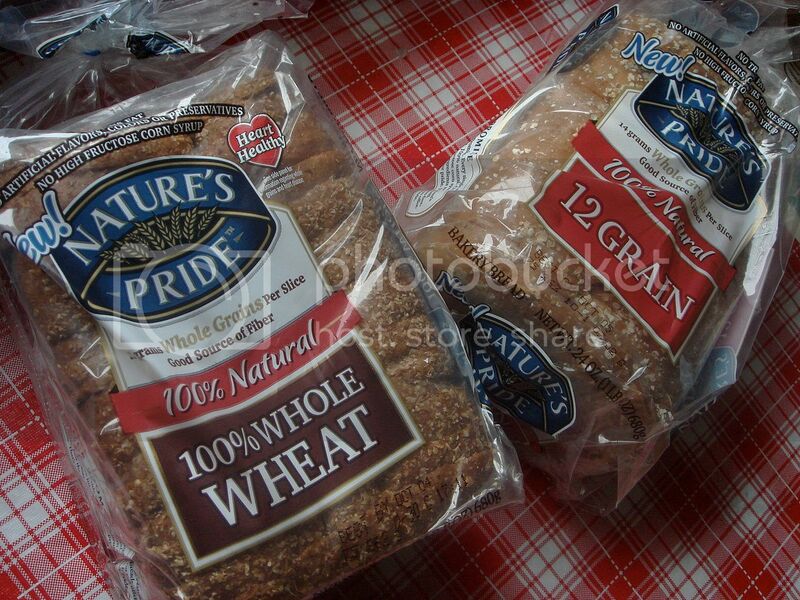 The latest offer from the Tastemaker Program is to sample bread from Nature's Pride, a 100% whole wheat loaf and the 12-grain loaf (contains white flour), both of which fall under the "hearty breads" category. Nature's Pride gives you loaves of bread that are 100% natural, contain no artificial ingredients, high fructose corn syrup, or trans fat. I'm guessing there must be natural preservatives since the ingredient list is still rather long, though. For the taste test, I cut a slice of each in half and toasted two halves. 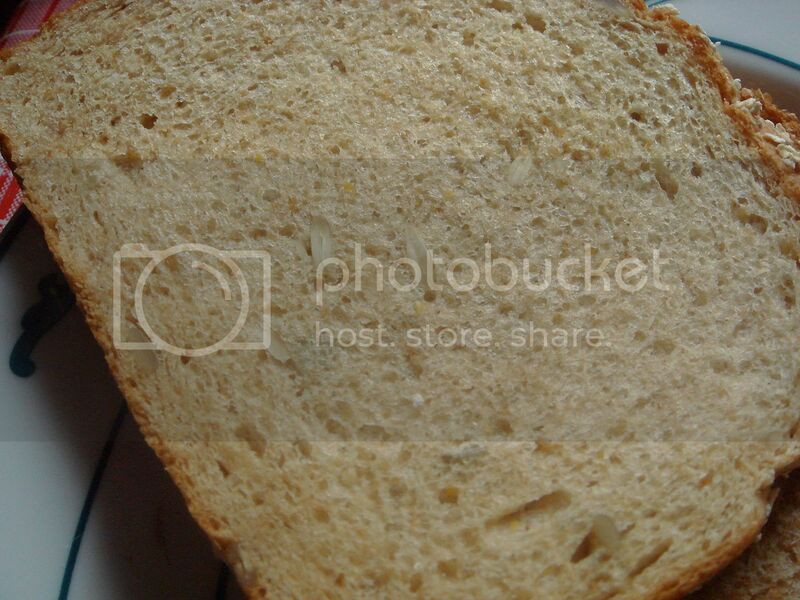 The texture of the untoasted pieces were spongy and springy, but I didn't feel that carried over to the taste of the bread, being on the verge of dryness more than moistness. I tasted the molasses in the whole wheat bread, though it wasn't strong, and the 12-grain slice had a rather raw taste to it. The reason I opted to toast two pieces is because toasting sometimes brings out the flavor of the bread more (kind of odd considering how the bread is already cooked, yet it actually does taste different). I preferred the 12-grain bread toasted since it seems that the sunflower seeds were untoasted, and it kind of brought the flavors together and got rid of whatever raw taste I was tasting. On the other hand, there wasn't much of a taste difference with the toasted piece of whole wheat, really just a deepened toastiness. Looking at the bags of store bought bread at home, Nature's Pride is one of the brands I get, but the soft loaves instead of the hearty loaves (the soft loaf is shaped more like a traditional slice of bread, i.e., not as wide, the size of the loaf is smaller, and it's not double wrapped), and I prefer that more since it is moister. Not a bad bread at all, though I'd most likely only buy it on sale when I don't make bread. -Favorite coffee is something medium to dark roast, I'm not too picky. I buy 8 o'clock most times. Congrats to Adam from Baking with Dynamite! Check your email. 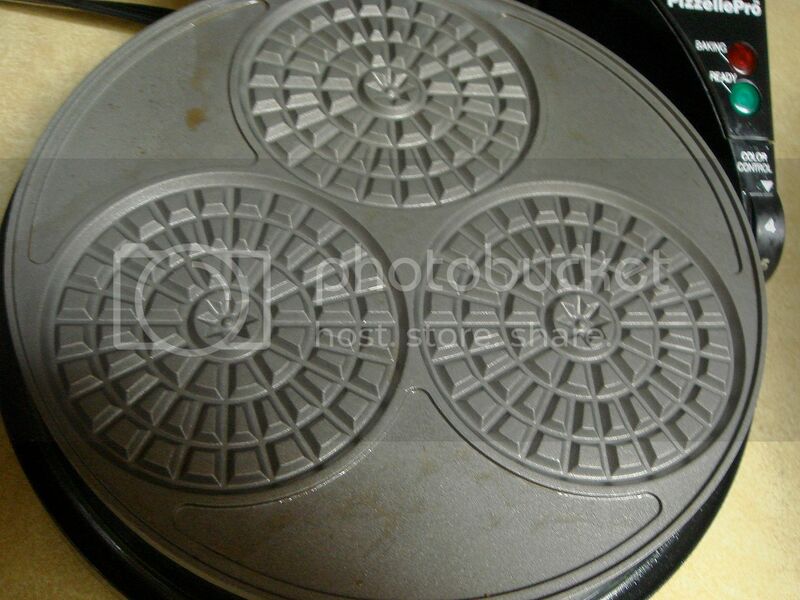 A few posts back, I briefly mentioned a review for a pizzelle maker from CSN Store's Cookware.com. Here it is, and I have to tell you that I immediately took pictures on the floor, yes, because I was quite excited and couldn't wait to open it. 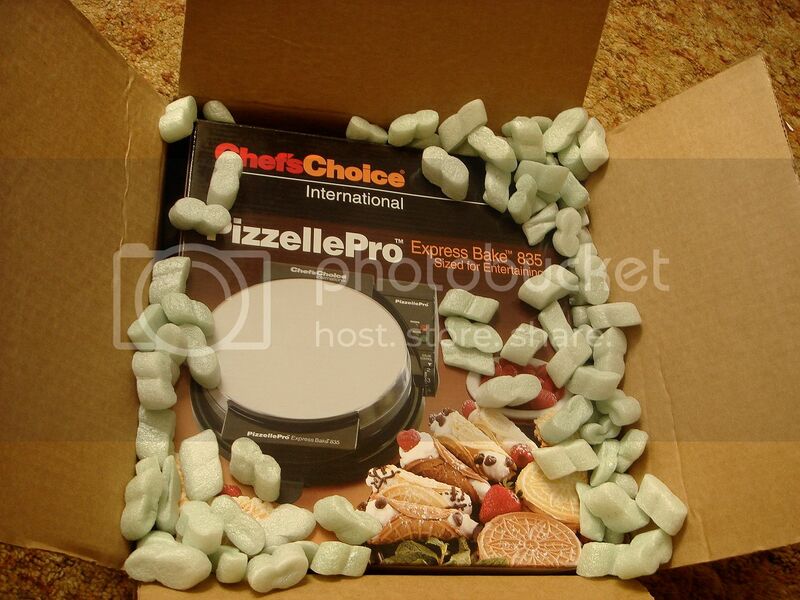 The pizzelle maker, Chef's Choice International PizzellePro Express Bake 835, features a nonstick surface with 3 mini pizzelle indents that make a perfect size for snacks along with mini waffle bowls, cannoli, or for dipping. There's also a built-in storage unit for the cord underneath the machine so it won't get in the way when you're trying to put it back in the box. Not only is there a "ready" and "baking" feature, the former green and the latter red, that lets you know when everything's ready, there's a numbered dial that gives you the option of setting the level of browning instead of a low, medium, high. You also get a spoon that's supposed to size out the correct amount of batter for each pizzelle grid, and a short wooden dowel to form cannoli shells. 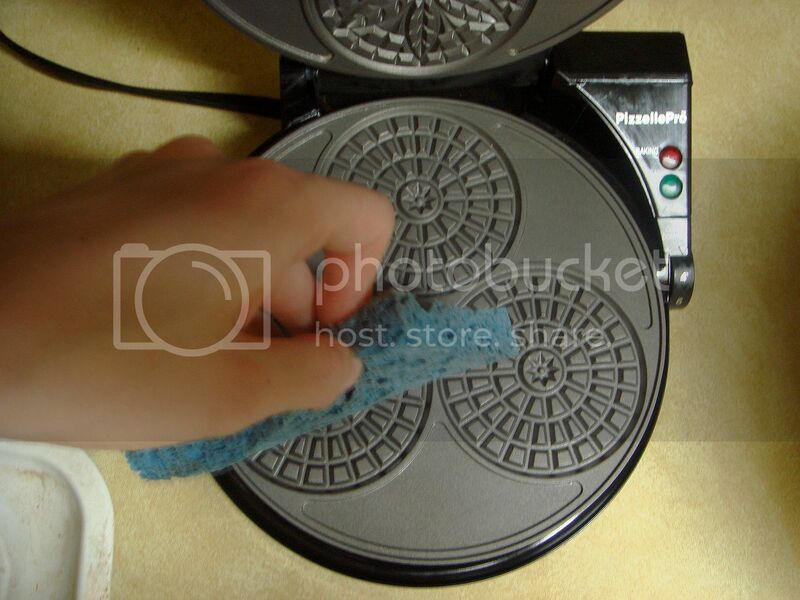 With a quick heat up time and an instant temperature recovery system, it gives you some time between removing the pizzelles from the grids to adding more dough. 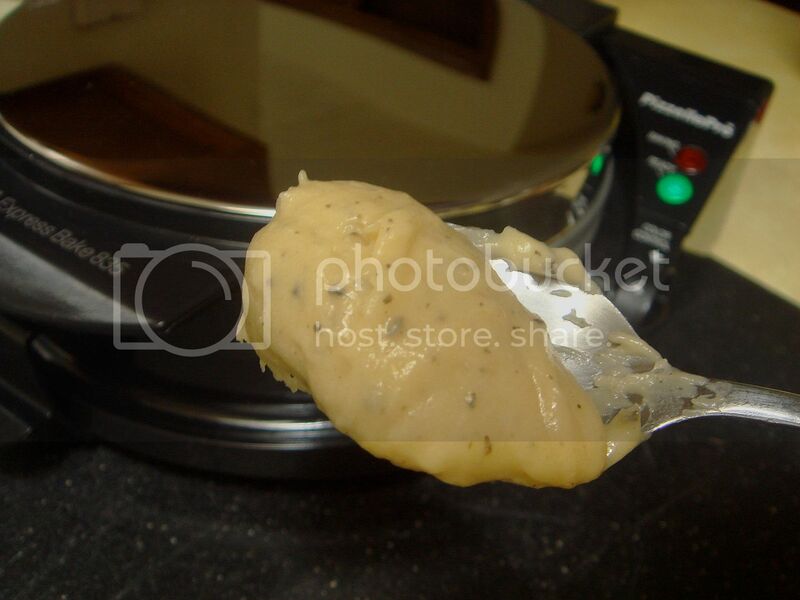 A light coating of oil gets spritzed on first time, but in the future it's not necessary since it's nonstick. Take note, I cut the recipe in half since I didn't want to spend a few hours making pizzelles, and this still made plenty! I started off using the teaspoon that came with the maker, using about a rounded teaspoonful which didn't quite fill up the first circular ring. Starting off at a temperature setting of three, I closed the top, made sure it latched down completely (which will help keep the pizzelles even), and waited. The green light remains on until the red light pops on briefly, after which the light goes back to green and the pizzelles will be ready. 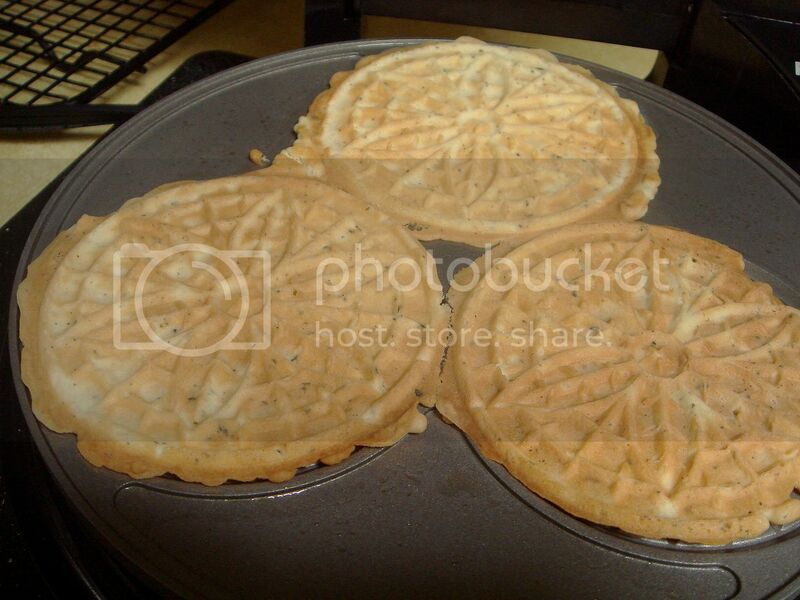 Okay, first try didn't quite meet the pizzelle standards I was looking for, both in size and color. It took a while to figure out how much of the dough was needed to spread out entirely in each circle, and I ended up raising the temperature to between 3 and 4, though I should have raised it to 4 and I'll tell you why later. That's more like it! What I did was to wait a few 10 or 60 seconds after the green light turned back on, which is why I said up there that I should have gone ahead and raised the temperature to 4. Clean up is a breeze; simply wipe with a damp sponge when cool enough to handle, then let it cool completely before wrapping up the cord and putting away. 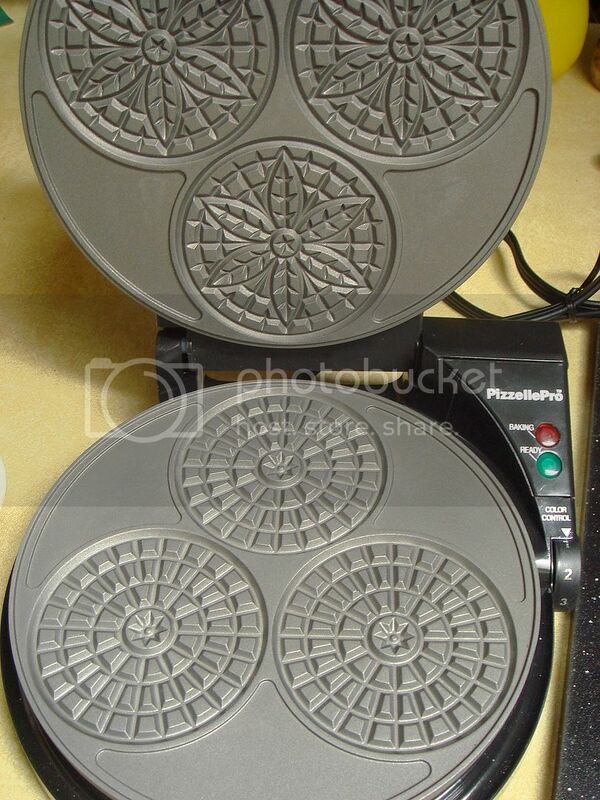 You can store this pizzelle maker on its side thanks to the flat backing. So what I thought overall: My general impression of nonstick appliances is that you won't get the same crisp as you would from cast iron or stainless steel. That is true, but that doesn't mean it won't crisp or brown at all, you just need to make sure you find which temperature bakes the pizzelles up to your liking. I did find that the pizzelles that hardly had any color didn't get as crispy as those that looked browned, obviously, so keep that in mind. 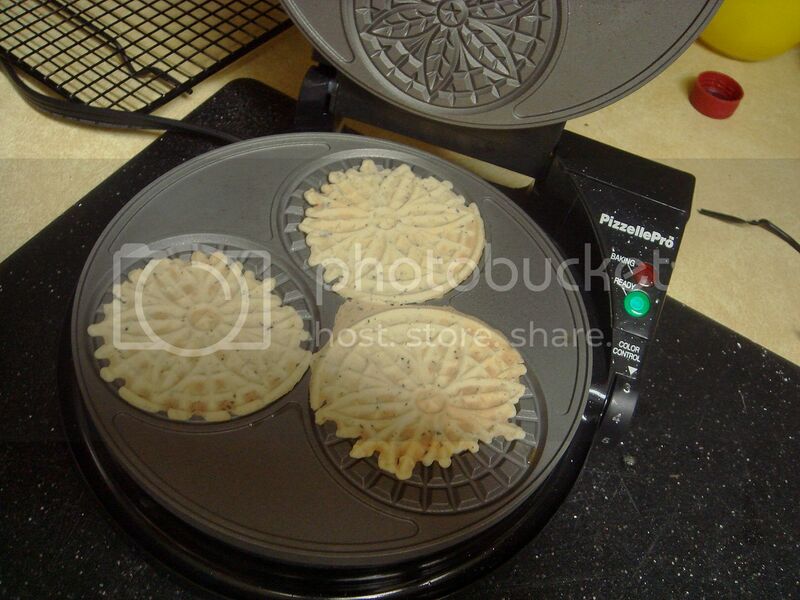 The directions state that this has an instant temperature recovery, though sometimes the red light came on between removing the pizzelles and adding more dough. I don't think this affected how the pizzelles came out since the unit itself would regulate the baking time, the green ready light would come back on, then the red baking time, then the green again. 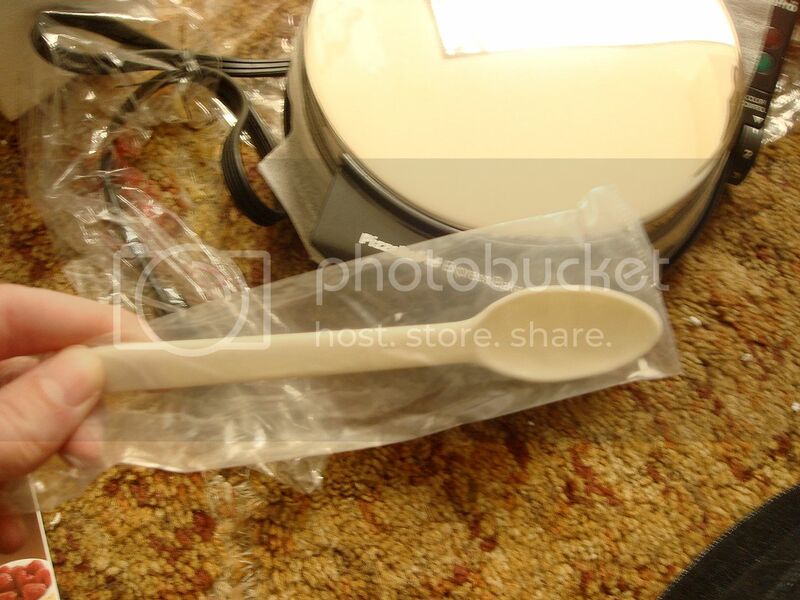 The instructions stated you could also time it yourself if you wanted. 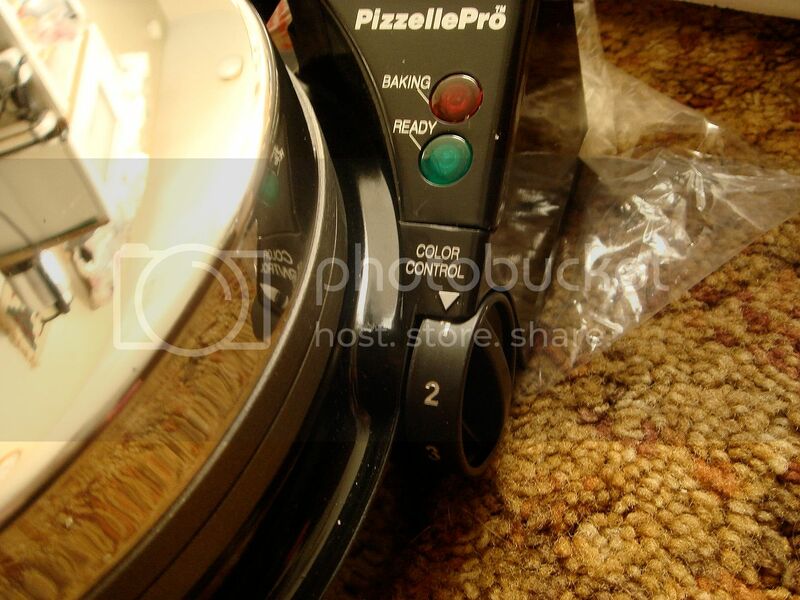 Overall, I really enjoyed my first experience making pizzelles, and found that the PizzellePro got the job done without much complaint, and I wouldn't hesitate to recommend this as a solid machine, especially one that cleans up quickly. It's going to take a few more gos to figure out my preferences, but I don't think I'm going to have a problem with that. 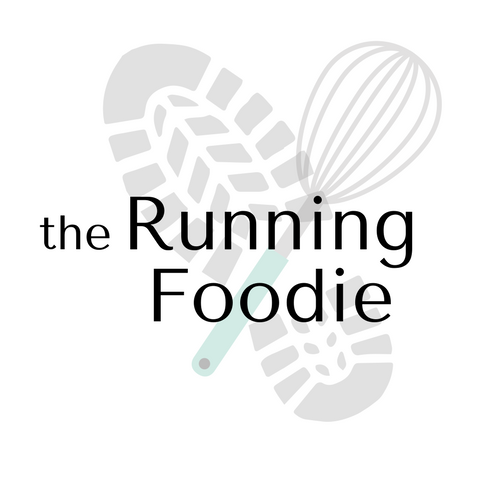 I really can't wait to come up with different flavor combinations and recipes using different types of flour. 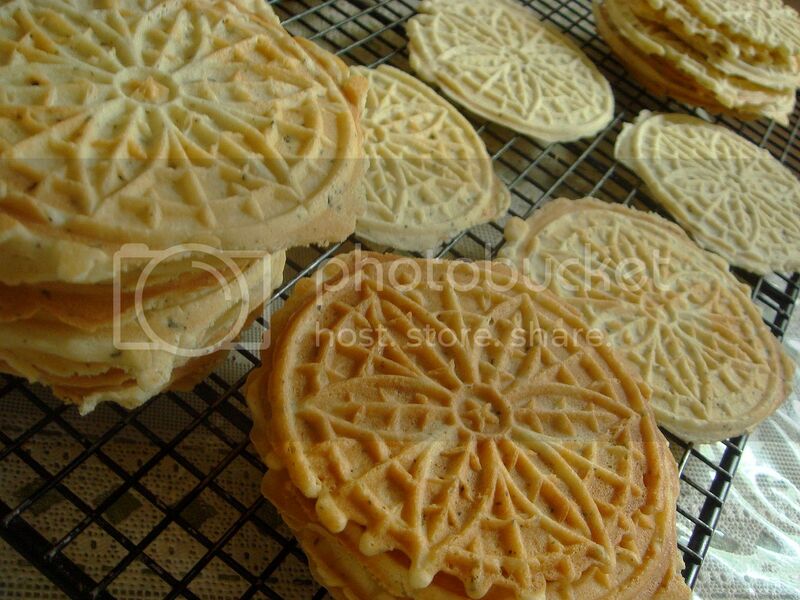 Savory pizzelles are definitely on the list of pizzelles to make, I'm thinking something like a cracker that can be used as a shell or to dip. Chicken breasts have a tendency to be dry, and I have a tendency to avoid them. I mean, who can't resist a mouthful of sawdust! 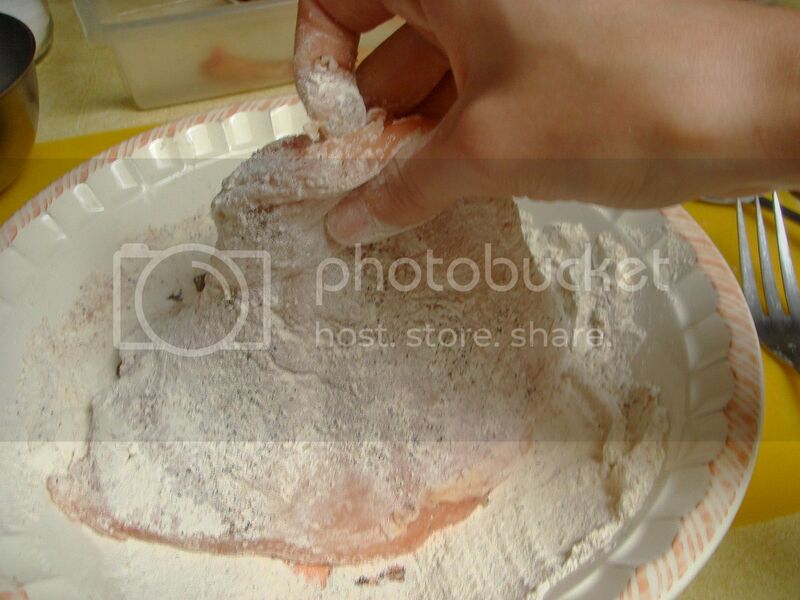 With chicken cutlets you avoid this problem by pounding the chicken breasts to about a 1/4-1/2 inch. How does this prevent them from drying out whilst cooking? Pan-searing over a fairly high heat allows the outside to cook quickly, as well as crispifying the flour coating, while keeping the inside slightly unfinished. By placing the cutlets on a baking sheet in an oven heated to 200°, I've found that the heat slowly cooks the entire thing. I used to tent the sheet with a piece of foil, but found that by doing so the coating on the chicken lost its crispness and became soggy. 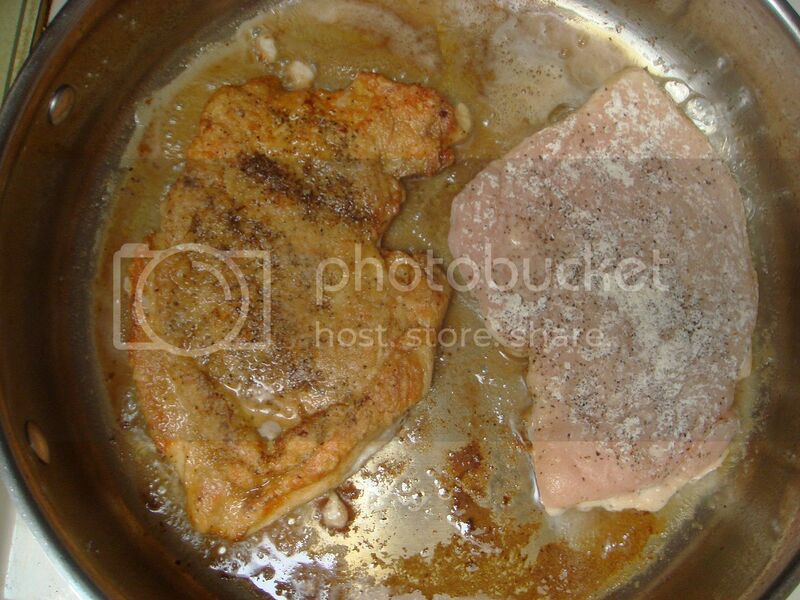 To cook the cutlets, place in a pan on medium-high with both olive oil and butter. Once heated, you sear the cutlets on either side for about 3 minutes before removing to a baking sheet. Finally, I've used my last bottle of POM 100% pomegranate juice in this sauce. Actually, my brother requested a pomegranate pasta sauce, and either I lacked the creative juices to actually figure one out or I'm just lazy, I ended up with a version of chicken picatta. He thanked me for partially fulfilling his request. 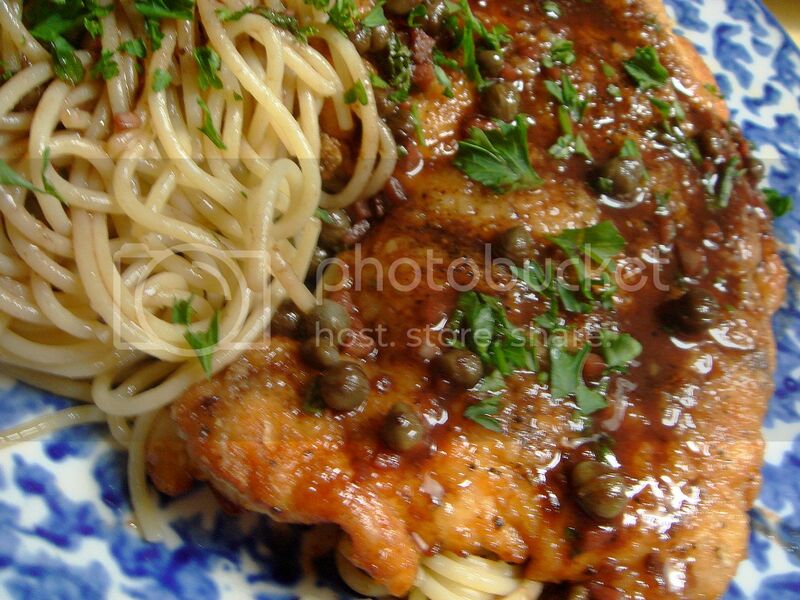 The sauce features the POM juice, minced garlic, cayenne pepper, lemon juice, salt and pepper, capers, and fresh parsley. Very flavorful, and everyone had nothing about good things to say to my face. No, really, the family enjoyed it. If anything can be said against this meal was that it didn't really have any vegetables, but that's not a big deal since it's just one meal. Preheat oven to 200°. 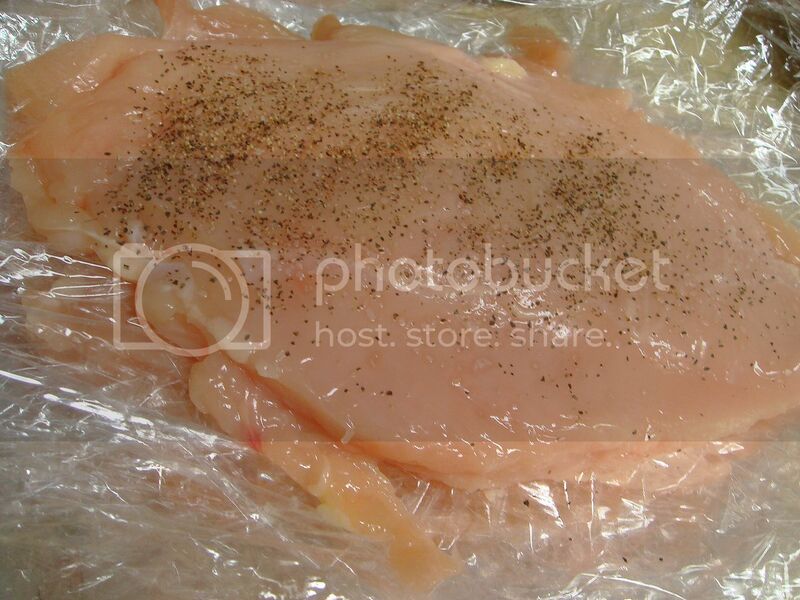 Between two sheets of plastic wrap, pound a chicken breast to about 1/2 an inch thick; repeat with each piece. 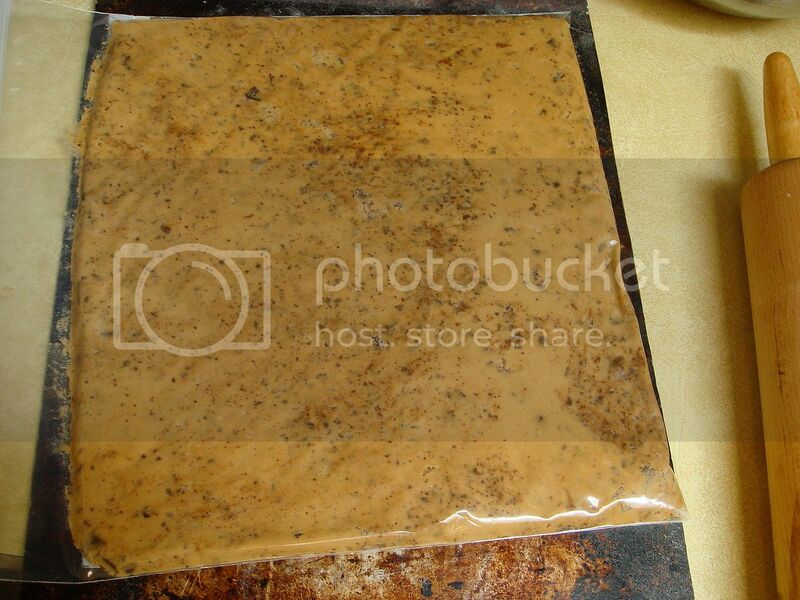 Put cutlets, still between the plastic wrap, onto a plate. 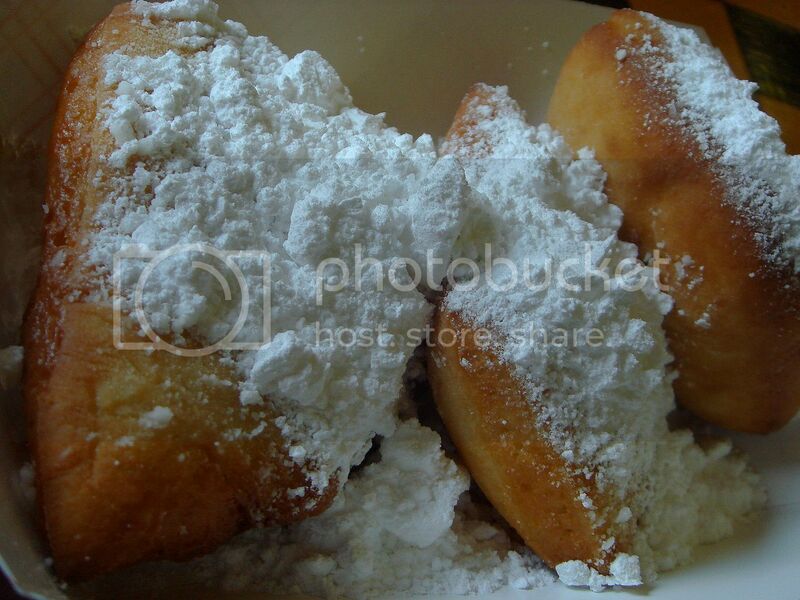 Mix flour, 1 teaspoon salt, a few shakes of pepper, and 1 teaspoon cayenne pepper in a shallow dish. Heat 2 tablespoons olive oil and a tablespoon butter in a large skillet over medium high heat. Meanwhile, as you remove the top sheet of plastic wrap from a cutlet, sprinkle lightly with salt and pepper and put seasoned-side down in the flour mixture; sprinkle the side facing up with a bit more salt and pepper. Dredge the cutlet thoroughly, but shake off any excess flour. 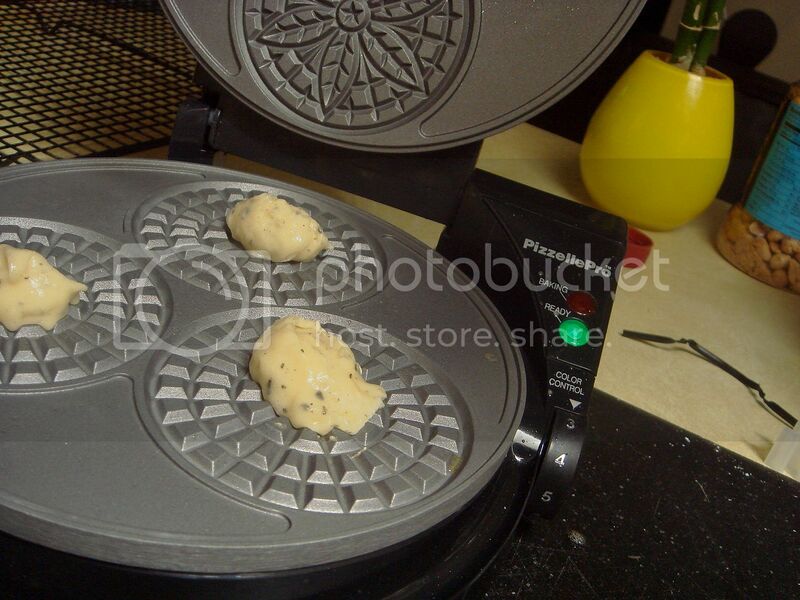 After you bread a cutlet, place in the skillet and cook for 3 minutes on either side, two at a time. Transfer to a baking sheet and stick the sheet in the oven to keep warm. Add a drizzle more olive oil and a small pat of butter to skillet and, once the oil sizzles, continue cooking until all cutlets are in the oven. Turn the heat down to medium and add a tablespoon olive oil and butter. Once melted, add garlic and saute for 1 minute; keep moving to prevent browning. Sprinkle with 3/4 teaspoon salt and 1/2 teaspoon cayenne pepper, then whisk in lemon juice, capers, and spicy brown mustard. 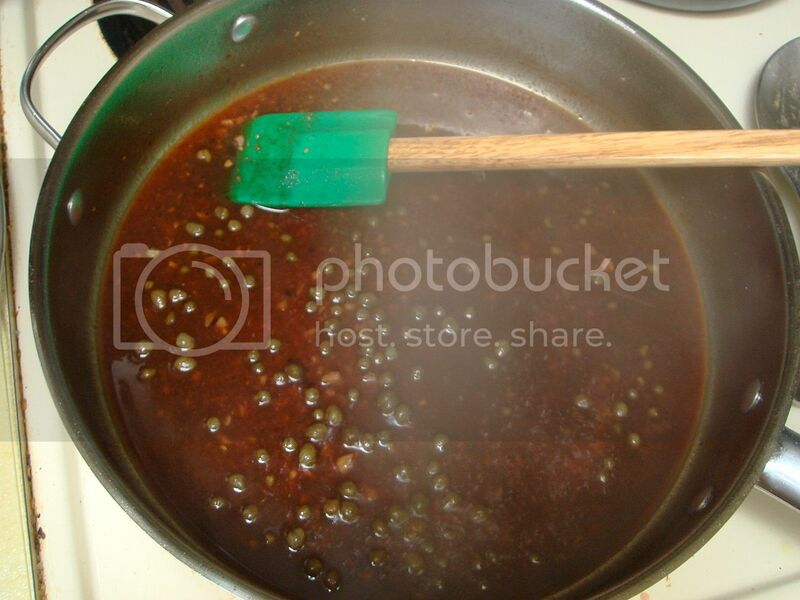 Pour in POM juice and scrape up the fond from the bottom of the pan. Turn heat up to medium-high, bring to a boil, and cook down for about 10 minutes, lowering the heat if the sauce bubbles too ferociously. Check for seasonings. 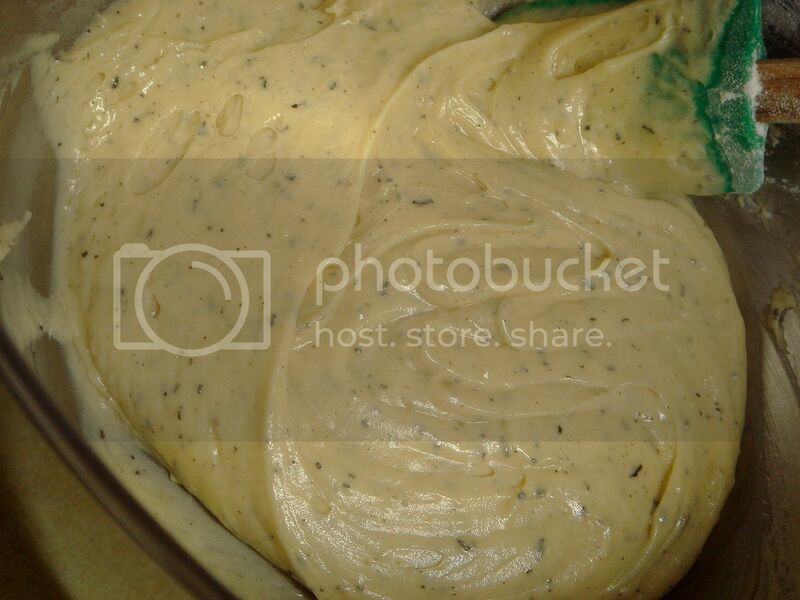 Whisk in two tablespoons butter until emulsified with sauce; whisk in a few tablespoons of the fresh parsley. 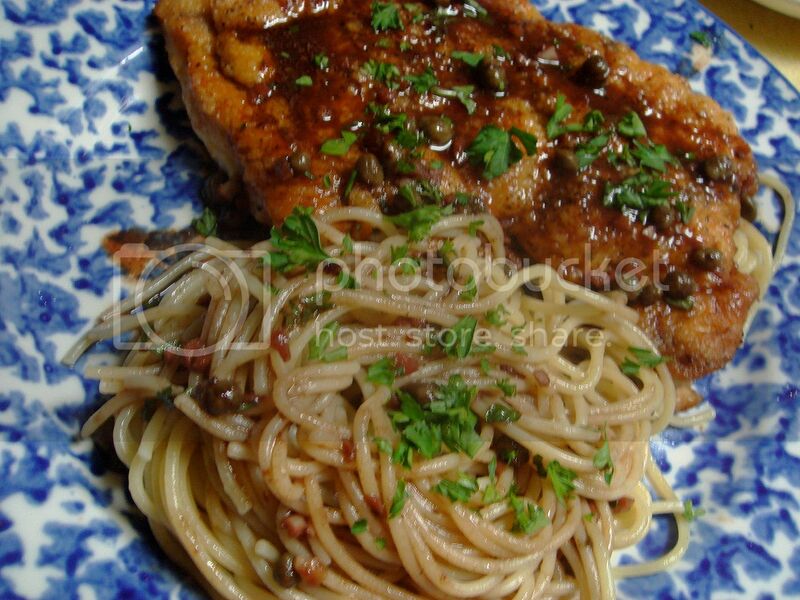 Place a chicken cutlet on a plate either on or next to spaghetti, drizzle with the pan sauce, and top with parsley. On Friday, I signed up for the 10k at the Salmon Chase. 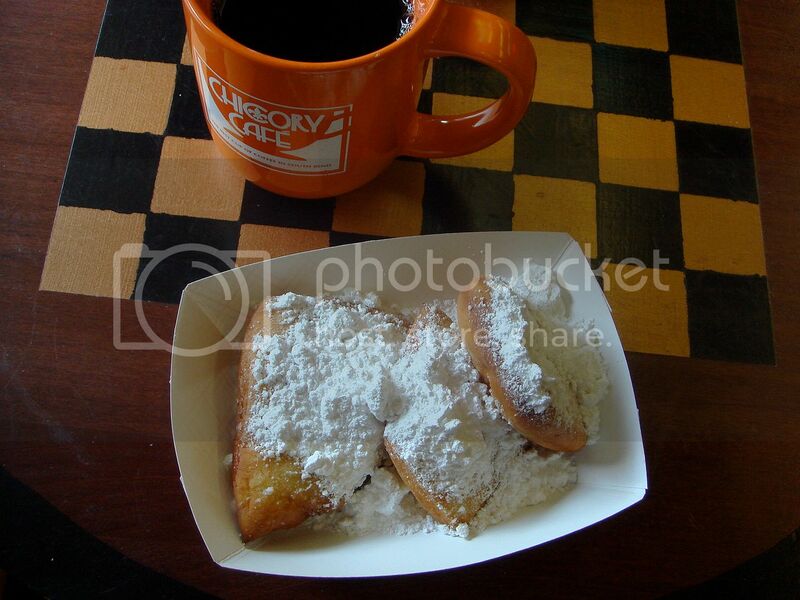 Immediately after which I walked over to Chicory Cafe for some coffee and beignets. Arriving to your table fresh and dusted in confectioners' sugar, these have to be my favorite doughnut thing of all time. Light, crispy outtards and chewy-fluffy innards. Going by the first four miles from the 15k two weeks ago, I knew I could hold sub-9 minute miles for the first four and if I couldn't get myself to overcome the pain I'd drop back to around 9:20s like I did then. Then I got sick. Just a cold that has since mostly gone away, but it zapped my energy and there was no way I was going running since I had that nasty cough. Since that meant I hadn't run in a week I figured a) this means I'll be well-rested, b) I can't lose that much fitness in a week anyway, and c) I'll be racing in practically new shoes. They ("they" being the running experts) suggest not racing in shoes you haven't broken in, but for many shoes the break in period isn't very long, and I can tell these shoes are the best I've worn yet. More on that later, though. I get to the race, which starts at 0730 in front of the College Football Hall of Fame, and it's pretty chilly, around 57° and breezy. Only to have the start time delayed by five minutes. Just five minutes longer. I'm sorry, but there are a few course complications, so we'll begin in five minutes. Then there was the stupid playback voice over the loudspeaker, "The race will begin in juuuust a feew minutes. Just a feeeew minutes until the start of the race." I swear he sounded like Horacio from CSI: Miami, and I pictured the voice tilting its head down, lowering his shades, and telling me, "The race will begin in juuuust a feeeew minutes." Eventually the race starts and off we go. The course was similar to the Sunburst 10k in that it went along some of the same roads and paths. And the hills. Don't ask me how I liked them hills. Anyway, the course went along the river and it was nice, and the mile splits were clearly marked with Army dudes calling out the split, which I thought was pretty cool. And I hope they were in the Army, otherwise I'm going to sound like a moron. My first split came in around 8:06, which I wasn't quite expecting. Second was around 8:12, third back at 8:06, the fourth I messed up but I think was just under 9, and the last two were close to 9:25. I still feel like the part of running I have to work on is talking myself through the pain and continuing to push myself. Probably why I backed off was that I couldn't draw a deep breath since I felt like I needed to cough, but the only way to cough would have been to stop so I didn't. Here is my finishing kick. And see the clock? My chip time came it at 53:33, which is a personal record and a 5th place in my age group! Now about the shoes. I had a coupon from the Blueberry Stomp for the New Balance store so I decided to see what they had. The guy who helped me, Kurt, was very informative and explained why I probably wanted to veer from a stability shoe and directed me towards the New Balance 800, a shoe designed for midfoot strikers. He also felt that given my size, the trainer would hold up against a decent amount of mileage. It felt different, obviously, though it seemed like a good idea and I went with it. I couldn't really tell much from the 2 runs I put in prior to the race since the first one resulted in a walk of shame back to my house since it was just when I got sick, and the second I was coming off the sickness and felt weird, although the shoes felt fine. There was only a small adjustment period, going from a shoe with a built-up heel to one where it was designed for the way I run was a bit different. Also, shuffling in these shoes is a NO. 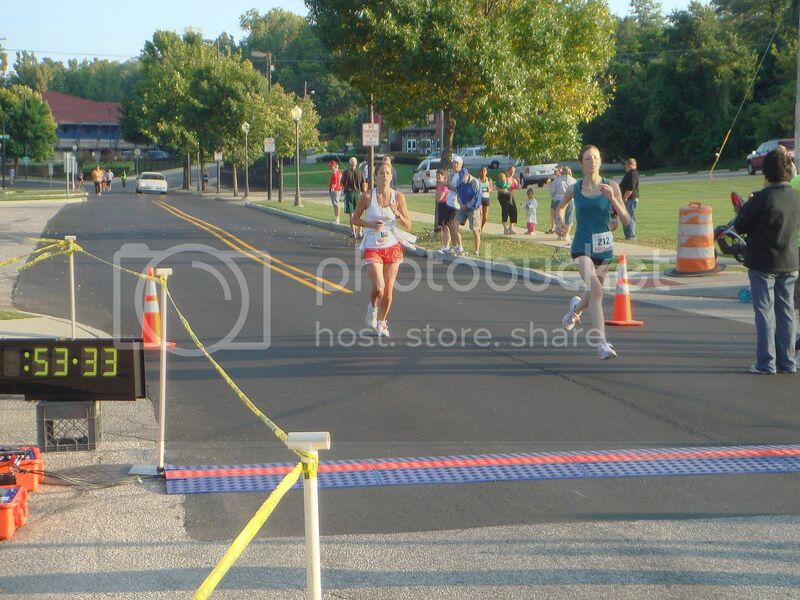 You can really tell when you aren't running with proper form, but I like that. You know what the absolute bummer is? NEW BALANCE IS GETTING RID OF THE SHOE. That's correct, folks. I called the store and the guy said they'll be getting the 801 in next month and he can't even order the 800s any more. And New Balance only offers frees hipping for orders over $99. The difference, he said, was that this new and supposedly improved shoe is cut out more like a shoe and will have more support under the metatarsal. 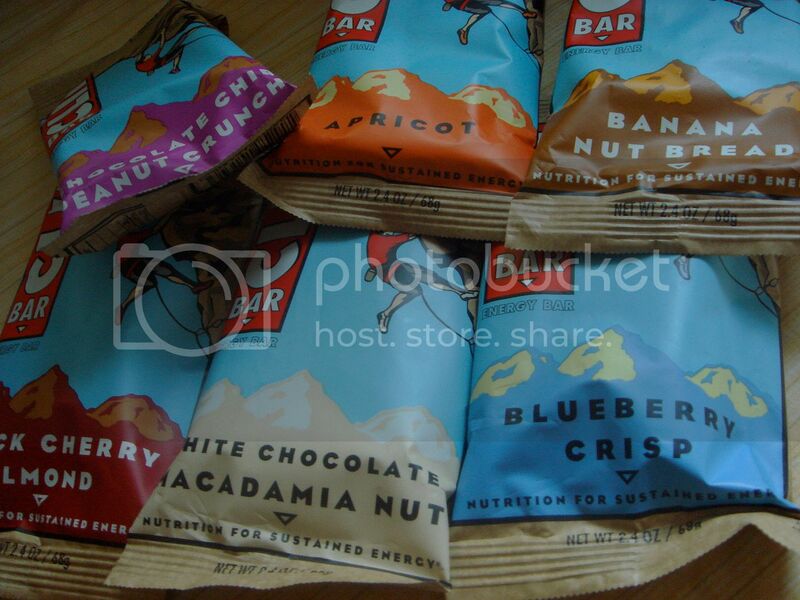 The post race snacks were excellent, and once again I didn't grab enough. If I had my bag with me I'd have really made out well. 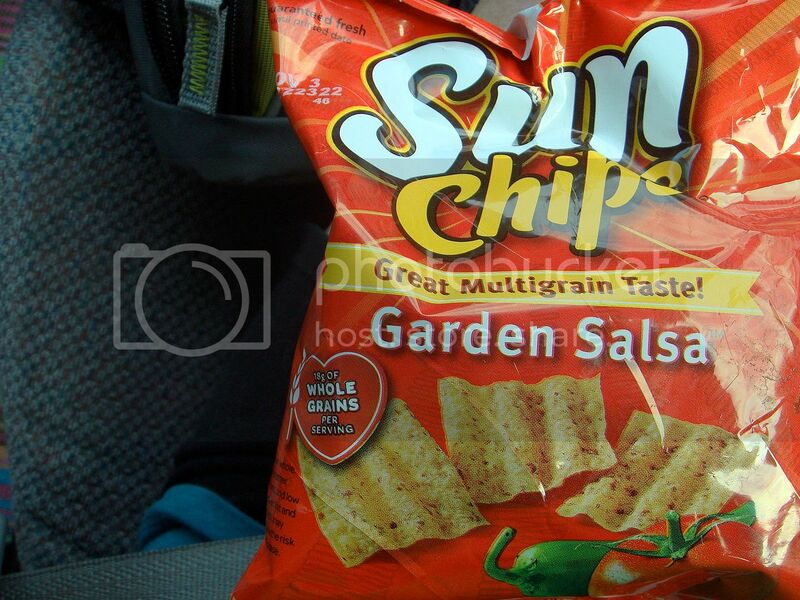 But I grabbed Sun Chips (great flavor, though I think "Hot House Canned Salsa" would have been better), some Effin Crackers (which were really Elfin Crackers, think Animal Crackers but in a cannibalized Elf shape -- I was about to say 'tiny Elf', but that's redundant, like saying, "What a small hobbit!" I misread the label and swore they said Effin Crackers, which made sense since I thought what I was grabbing was a bag of jelly fruit slices, so Effin Crackers they remain), and a popsicle that I wrestled with opening the slippery plastic covering for what I swear was five minutes. There were also doughnut holes, but I wanted that popsicle. I worked for it and earned it, damn it! Walking back to Chicory Cafe for hot chocolate (which was meh, unfortunately), and corn crab chowder which was a bit spicy, not too thick, and altogether yummy. It came with a roll, no crackers. And now what you've all been waiting for! 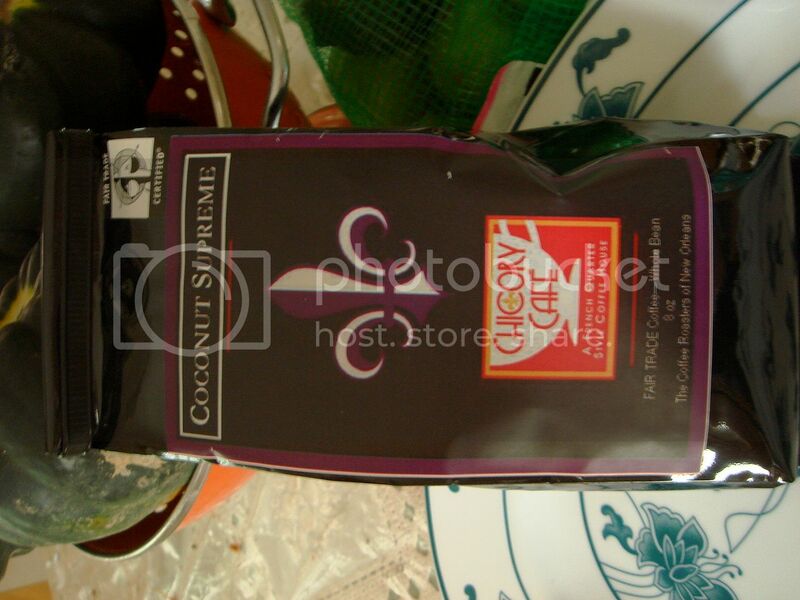 I picked up my favorite flavor of coffee from Chicory Cafe to give away to one lucky person. This Coconut Supreme flavor is so far one of my favorites I've tried. The flavor is really good, reminiscent of toasted coconut almost, and a little sugar and cream actually enhance the flavor. Equally good black, I have no doubt. This is an 8 oz. bag of whole beans. Chicory Cafe procures their beans directly from a micro-roaster in New Orleans, and they also make sure their coffee comes from the source of where it's supposed to come from -- the fridge. It's also Fair Trade. If you would like to try this, leave a comment telling me a) your favorite coffee, b) your favorite time to drink coffee, and c) your email address (or you can email me if you'd rather not leave it publicly -- address is on the sidebar). 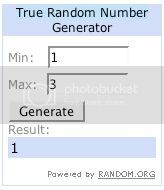 Entries close at 12:00 PM EST on Friday, the winner will be determined my random selection and announced shortly after. You've probably seen this recipe floating about, and in case you haven't at least you have now. I came across this first on a blog, which actually prompted me to pick up Baking ~ from my home to yours by Dorie Greenspan in the first place. Obviously, it took a few recipes before I made it, but it was worth the delay. Since I haven't had the desire for a cup of coffee (ahhhhh, it's the end of the world!!!!! 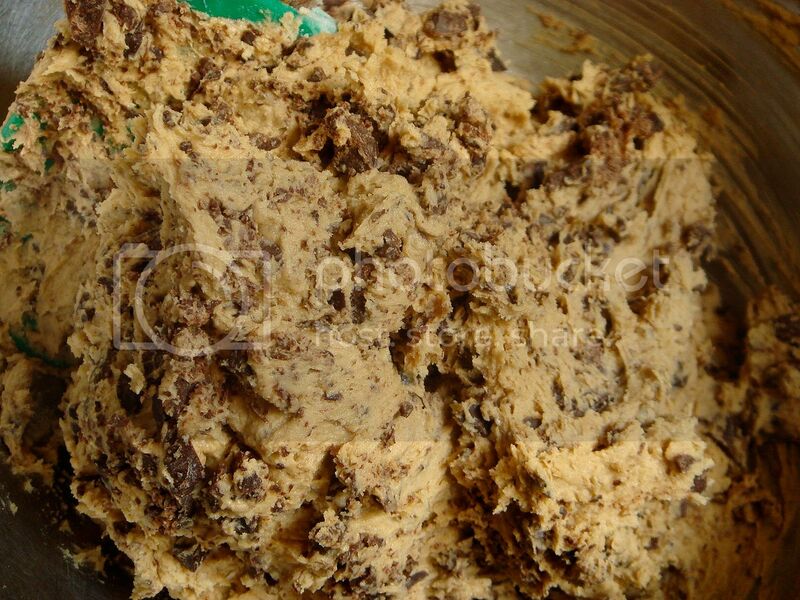 ), I get my fix in baked forms. 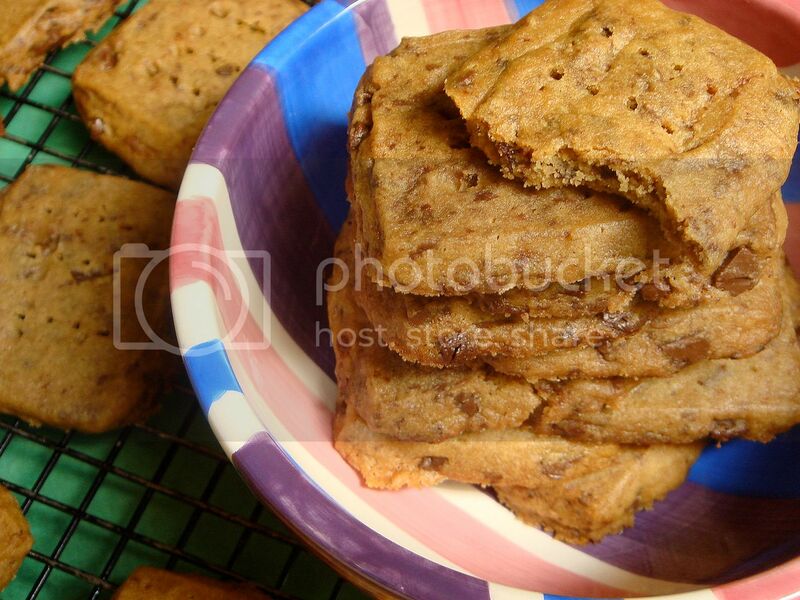 A delicate, espresso-laced shortbread that's in between sandy and crispy, these are excellent nibbling cookies alongside your beverage of choice. Of course, the addition of chocolate is always welcome whenever espresso is around, and I be the use of orange extract in place of the vanilla would just seal the deal. 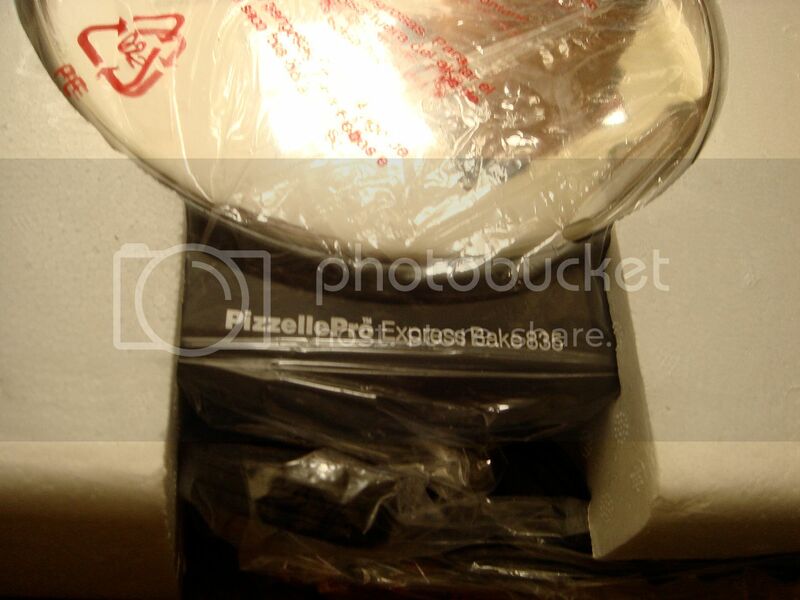 An interesting technique of pressing the dough to the specified dimensions in a gallon-sized Ziploc bag makes quick and easy work of handling the dough, turning the sticky mass into a chilled slice-and-bake production. Once the dough has chilled and you slice and peel away the Ziploc bag like Elmer's Glue on your skin, quickly score the dough to the correct size and slice away. I could have eyeballed it, but I wanted to be a bit of a perfectionist here. Since the dough warms up rather quickly (or perhaps it was due to the temperature of the kitchen, or the warmness of my heart seeping through to my fingers) quickly transfer the slices to the prepared baking sheet where you will indent each cookie with the tines of a fork. 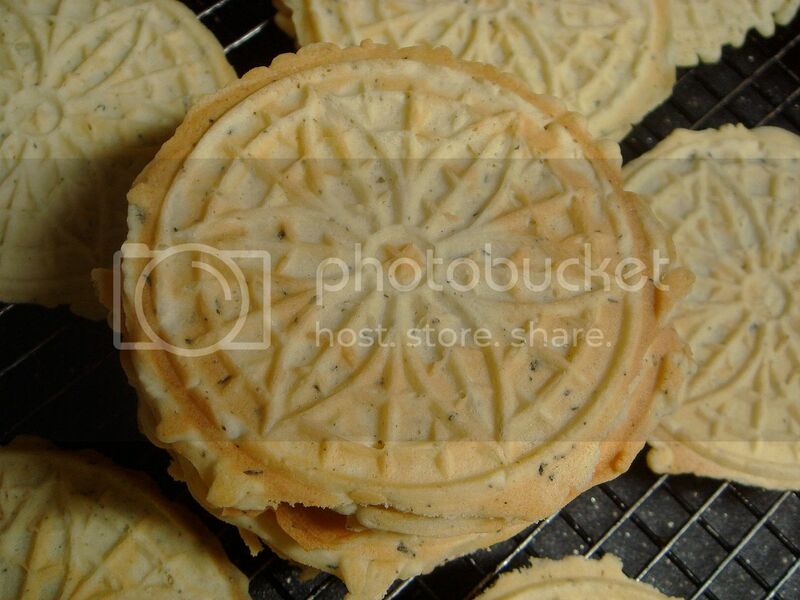 Quickness is what really helps the cookies to retain their shape; all-butter cookies have a habit of spreading. To date, none of the recipes I've made from Dorie's book have failed. This is probably one of my favorites since it's excellent alongside a cup of tea or coffee, and it's really a lovely little cookie that stands up to any occasion. 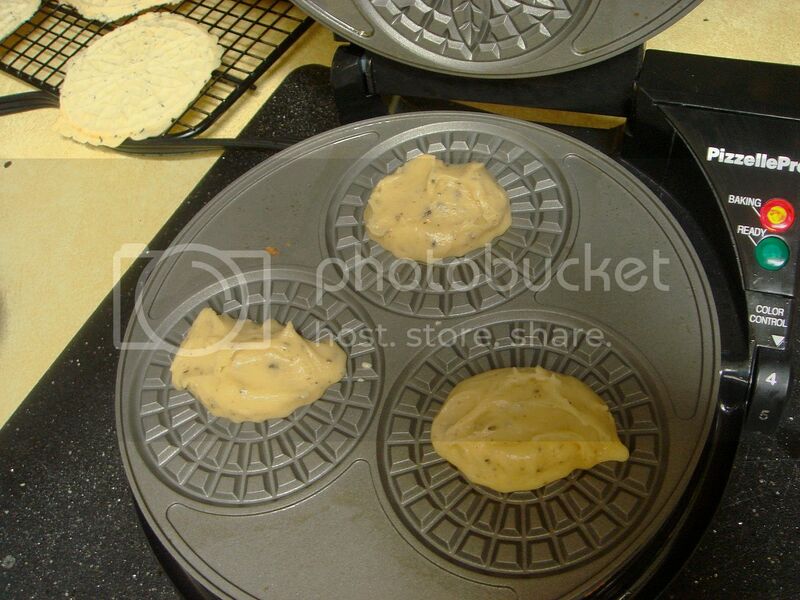 These would also make an excellent choice to ship since they are fairly sturdy and the flavors improve with time. Around the third or so day of being sick you get that restless feeling of wanting to do the things you normally do, and I wanted to get back in the kitchen. But not, because I didn't really feel like it. 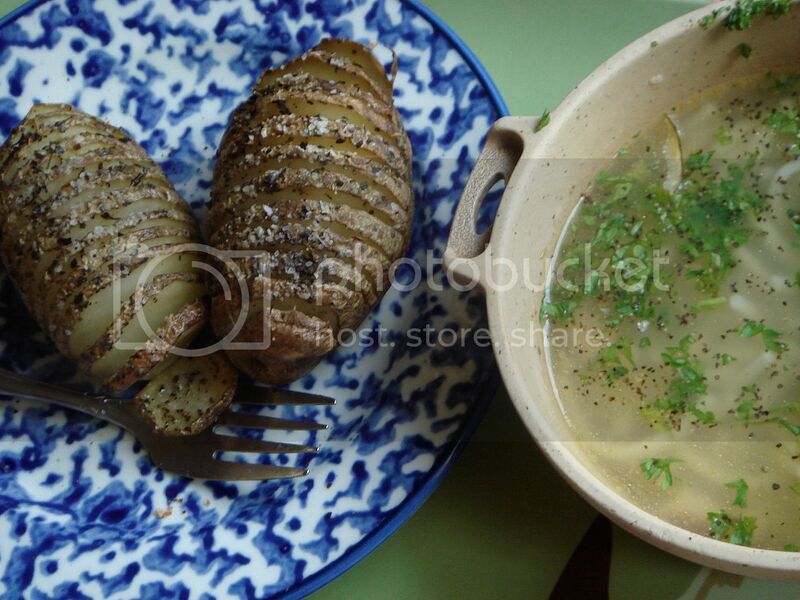 What I did instead was flit between tennis, knitting, and browsing blogs until I came across a picture of hasselback potatoes. What? I guess it's named after a restaurant in Stockholm in the 1700s where it was first invented, and basically you slice almost all the way through a potato, fan it out, drizzle with oil and seasonings and roast. But I found a tip from a Friend to Knit with's Flikr stream about placing the potatoes on a wooden spoon so that when you slice, you won't go all the way. I love tips like that! 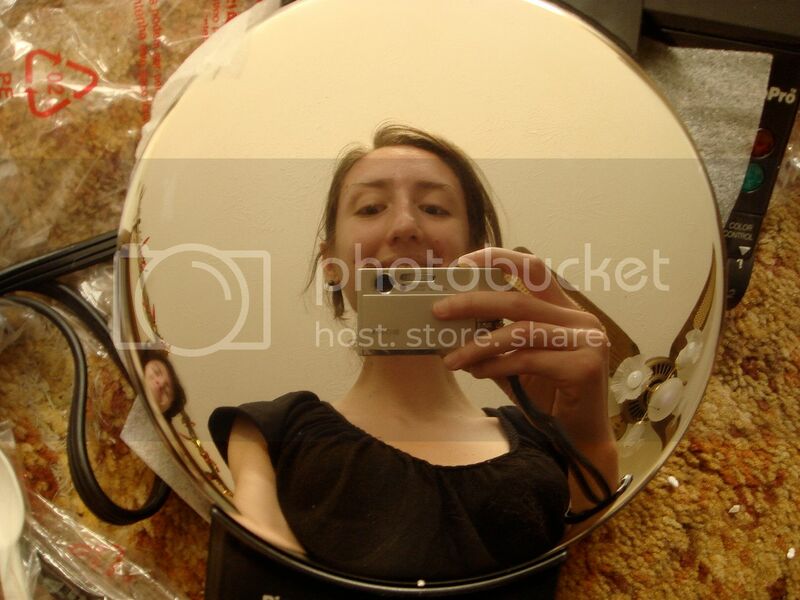 The possibilities for these things are endless and are great for inventive minds. 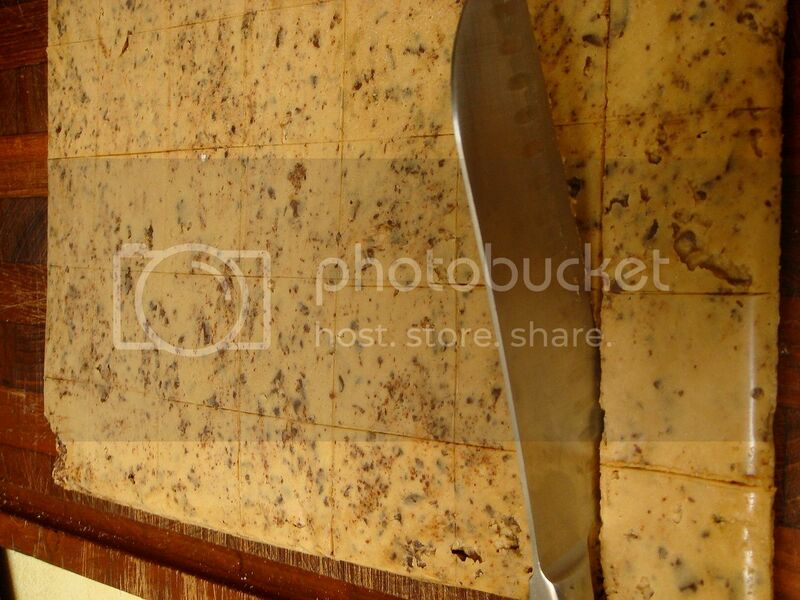 Sprinkle some cheese, different herb combinations, garlic slivers between a few slices, whatever. I kept it simple with a drizzle of olive oil, a sprinkle of kosher salt and pepper, and a shake of oregano. 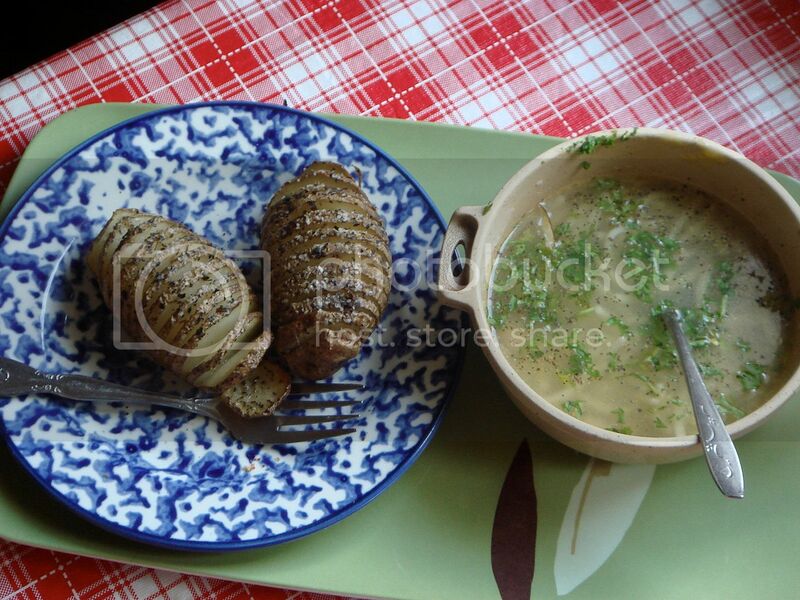 The roasted potato develops a crispy skin with creamy innards and is an altogether nice spud. Why not just make them normally, one might ask? Why not just spend a few extra seconds to make something pretty, I say to that. Like many things that have a bazillion different methods that come out not entirely unlike each other, it's nice to have the option. 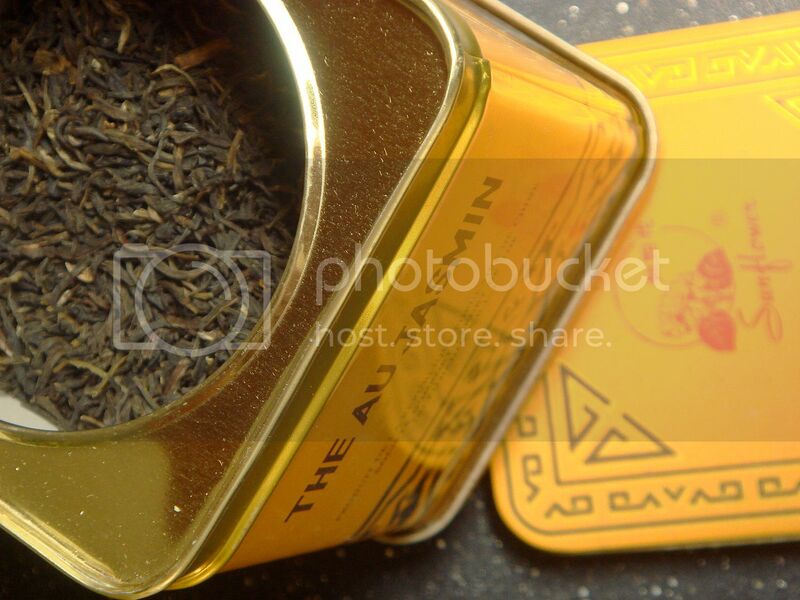 Especially for a special dinner or just to perk up everyday meals. 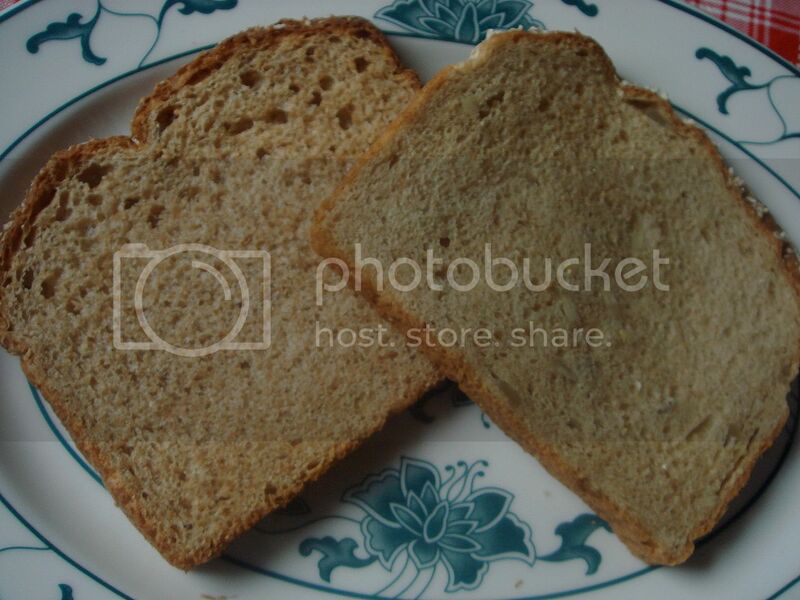 Dry toast ~ I don't know why I like this, but the combination of crispy outtards to fluffy innards just makes me feel better and can be eaten with tea, soup, and anything else. You can also taste the bread better since it's unadorned, and if you want cheesy toast just sprinkle some shredded cheese or slices and broil until melty and bubbly. Soup ~ It just tastes so much better when you're sick. And yes, homemade soup with freshly pressed garlic is great, but canned chicken noodle soup is simply classic. 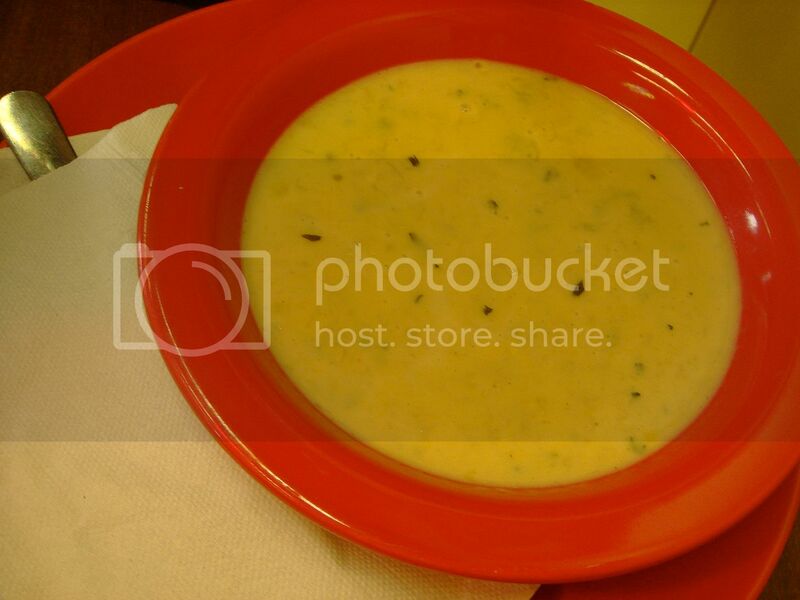 I've found that the soup comes with bigger chunks of chicken than I remember it having back in the day, and the store brand tasted just as good as Campbell's without the annoying kid commercials. 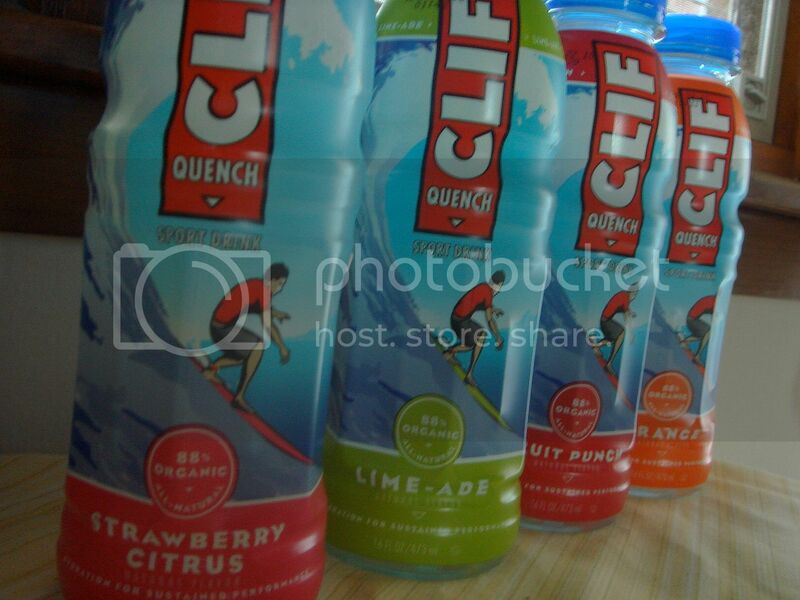 Medicine ~ I'm talking about the grape flavored cough syrup, heck yes! That's all I can think of for now, though I'll add that I haven't had a single drop of coffee in my cup since Wednesday. No, haven't craved it, and I still don't, and I didn't get jittery, but now I have the pleasure of looking forward to the brew that's good to the last drop with some cookies! 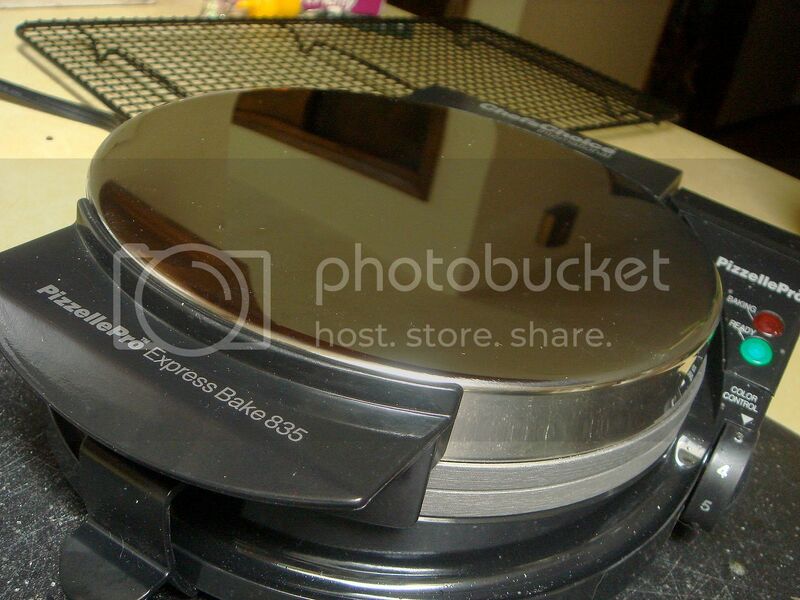 Preheat the oven to 400° F. Line a baking sheet with foil. 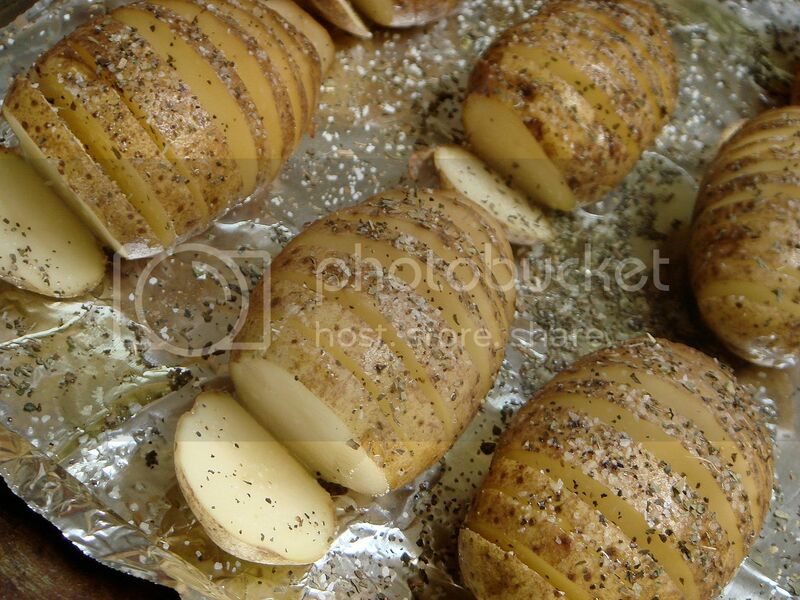 Scrub the potatoes under cold water and pat dry. 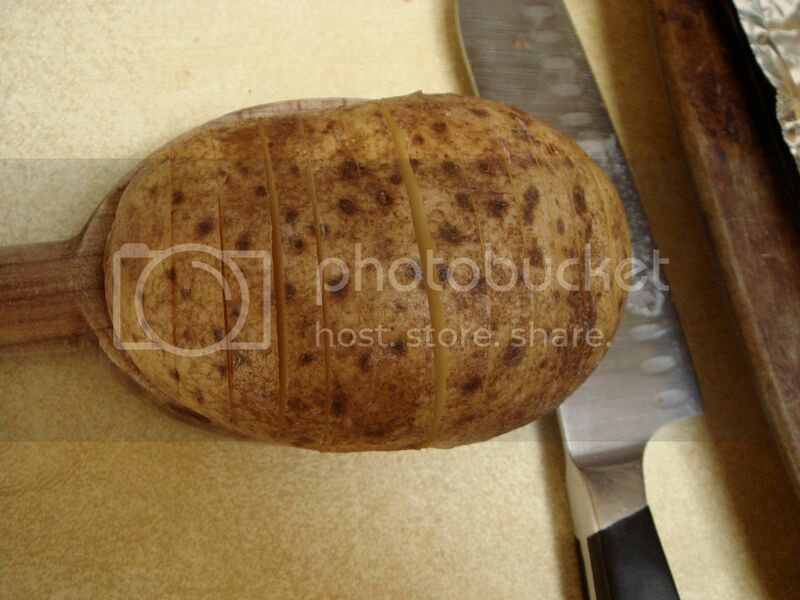 Place the potatoes on the bowl side of a wooden spoon and slice, more on the thin side than thick. 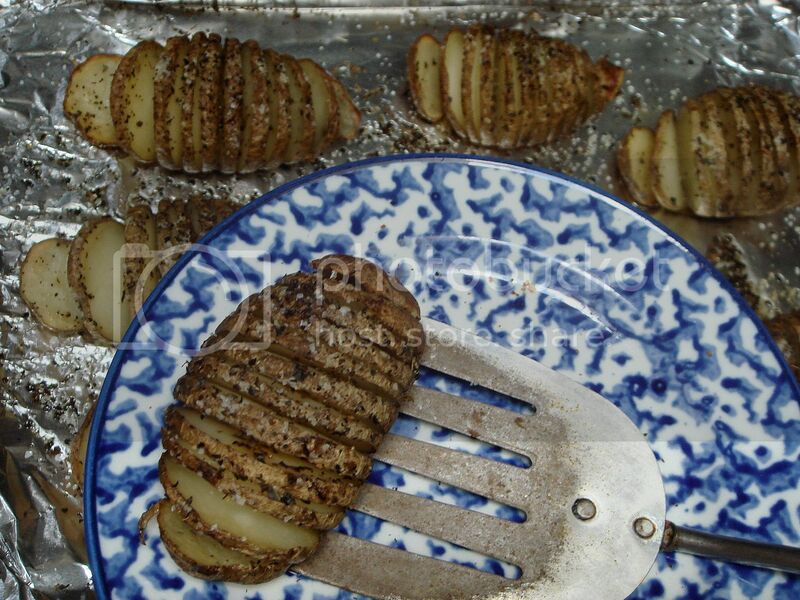 Place on baking sheet, fan out, then drizzle with olive oil and sprinkle with salt, pepper, herbs, or any other topping you'd like. Roast for 40 minutes; reduce temperature to 350° F and cook for another 10 minutes. Remove from oven and eat.